Below are the main venues, approximately from north to south. From State Highway 1, 24 km north of Dunedin, turn right into Coast Road at the sign to Warrington and drive 1 km before veering right into Park Road. About half a kilometer along Park Road, turn right into Bank Road then, 300 m along, follow the street left into Bay Road (a forced left turn) then at the first right, drive into the Warrington Recreation Reserve. Go down a track beside the Warrington Surf Lifesaving club to the beach and walk to your right. (Textiles generally go to the left.) To get across the inlet to Doctors Point Beach by road, go back to SH 1, then 4 km south and turn left at the sign to Waitaki. There are two ways to get to this area: from Waitaki, walk past Doctors Point Beach; or from Purakanui go 3 km then left at sign to Osborne township. Go 4 km along Osborne Road and park a the sign to Mapoutahi Pa Historic Reserve. Walk or 4WD along a soft, sandy track 300 m to the beach, then go up steps over the headland to a beautiful, white sandy beach. Or try the small cove at the tip of the headland. From Dunedin, follow State Highway 88, 13 km to Port Chalmers, turn up the road to Waitati, then right at the sign to Purakanui. Drive 5.5 km and turn right at the top of a hill into Heyward Point Road, go 5 km and turn left at the sign to Murdering Beach, 2 km, down the hill through a gateway to the beach. 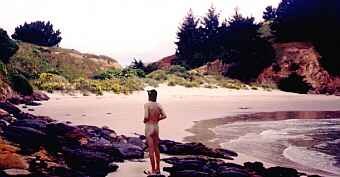 For the adjacent, isolated, little Kaikai Beach; walk 20 minutes east over Purehurehu Point. From Dunedin take the Portobello Road: 16 km around the coast. From Portobello, drive north 9 km towards Tairoa Heads, turn right into Pipikaretu Road, go 1.5 km then turn right through a farm gateway and continue 1 km to the end of the road. Go from the Pipikaretu car park toward some big old pine trees to your right. Just to the left of the trees follow a flax fence-line through a gateway at the end, then walk diagonally across the next paddock and down a ridge to the beach. From Dunedin take the Portobello Road: 16 km around the coast. From Portobello go along Harrington Point Road 1 km, turn right up Weir Road, 1 km over the hill, then left at the sign to The Pyramids, 3 km to the end of the road. Walk along the farm track to the rock formations, then veer left across the paddocks and along a fence line 30 minutes to the beach. From Dunedin take the Portobello Road: 16 km around the coast. From Portobello turn right into Allan's Beach Road, go 1.5 km, turn left at Hoopers Inlet Road and drive 4.5 km (on metal) to the car park at the end. Follow the marked walking track 200 m to the beach. 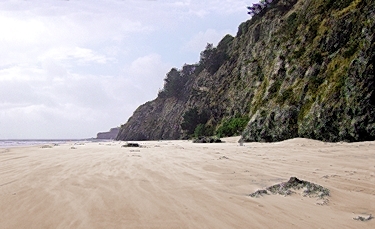 A 20 minute track over the headland to your left, east, leads to a little cove with a stream. From Dunedin follow the signs along Highcliff Road toward Larnarch's Castle: 15 km along the peninsula. Continue 1 km then turn right into Seal Point Road. Park at the end and walk down about 10 minutes to the beach. 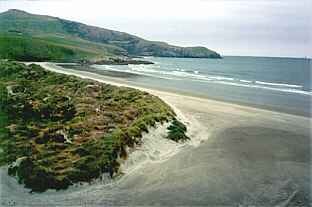 From Dunedin, drive east 10 km along Highcliffe Road, turning off near Larnarch Castle, at the sign to Sandfly Bay. Go 1 km, turn right into Seal Point Road. Go 1 km, turn right into Braidwood Road, 1.5 km to the car park. Follow the track down the hill, over a style, and past a World Wildlife Fund sign, 20 minutes to the beach. 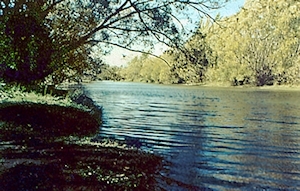 From Dunedin, leave the waterfront at Andersons Bay Inlet 1 km, then head across the isthmus to Ocean Grove. Pass the top end of Tomahawk Beach and next is the car park behind Smaills Beach. 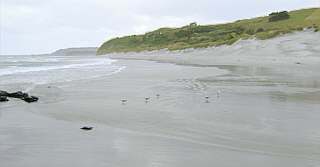 There are two main tracks to the beach: the left one is a flat 400 m walk alongside the creek; the other is a 250 m hilly walk over the dunes. From the lakeside at Wanaka, go 18 km west along Mt Aspiring Road. Pass the Glendhu Bay Motor Camp and continue 5 km, turn right into West Wanaka Road; follow the road through two gates, past a DoC notice: "Homestead Bay", to the lakeside. On State Highway 6, 5 km north of Wanaka there's a large DoC camping area beside the Clutha Bridge, on the left side of the road. Directly opposite is an even larger 'day trip' area, with more secluded camping at the far end. From State Highway 99, 15 km west of Riverton, turn south at the sign Whakaputa and drive out to the end of the road. Go down a track beside a two-level house and walk about 15 minutes to your left. 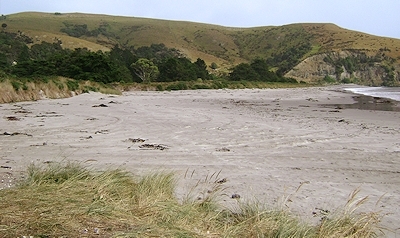 From State Highway 99, 35 km west of Invercargill, 3 km before Riverton, turn left at the sign to North Beach. Walk 50 m to the beach, then walk east.